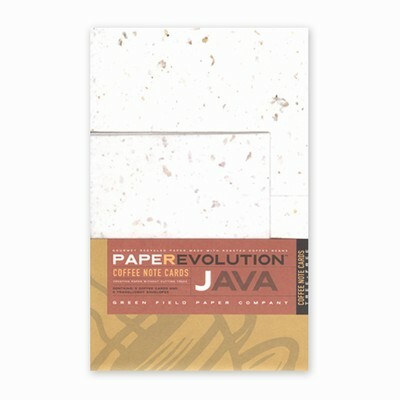 This paper is handcrafted one sheet at a time blending 100% recycled fibers with the chaff of roasted coffee beans from an independent coffee shoppe in San Diego. The chaff creates an elegant background for this tree-free paper. The paper only has coffee aromas while it is being brewed.